Home Energy Assessments and Improvements. When you analyze energy use at home, the following chart is useful. It shows where your residential energy is typically going. Experts will do a ‘Home Energy Assessment’ to recreate the chart above specifically for your home with highlights on cost and energy effective suggestions. Energy Star makes it easy to find energy assessment experts and deals in your zip code. My electric company also offers an energy audit. There are some new home energy monitors on the market which attach to your electrical panel, recognize appliances and report on energy use by product. They will give you a report similar to the one above, but specific to your home and your energy usage. The reviews are discouraging and it looks like these monitors are a great idea which is not ready for prime time. In case you want to try one, Sense Energy Monitor, $299. You can see from this chart above that lowering your thermostat when it’s cold and raising it when you have the A/C going is a good way to save energy. Weather proof your home and replace old windows if they are not energy efficient. Seal up any cracks in the attic or around doors where heat/cold get in and make sure that it is well insulated. Install a smart thermostat like the NEST, $229. You adjust heat and cooling manually for a few days until NEST learns what you like, then it will efficiently call for heat and cooling to maintain your perfect temperature. The experts say that heating is more energy intensive than air conditioning – so focus on your winter needs. With lighting using around 12% of the energy you buy, make sure that you have efficient bulbs. Turn off lights when you are not using them. Replace your incandescent bulbs which are energy pigs and can burn out quickly. 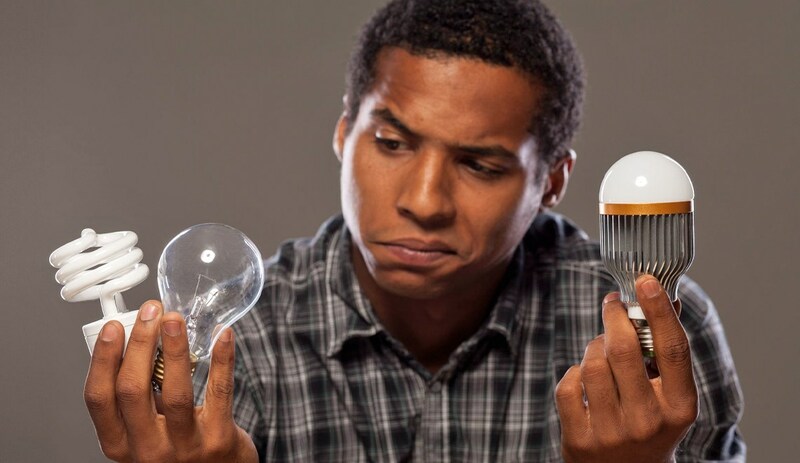 Choose Halogen incandescent bulbs, compact fluorescent lights (CFLs), and light-emitting diode bulbs (LEDs). They use anywhere from 25-80% less electricity and last three to 25 times longer than traditional bulbs. Energy efficient bulbs are more expensive initially than traditional bulbs, but their efficient energy use and longer service lives mean that they cost less in the long run. Energy is wasted when electronics are in stand-by mode. The electricity usage is called a ‘phantom load’. Turn off your computer, printer, scanner, monitor, amplifier… when not in use. 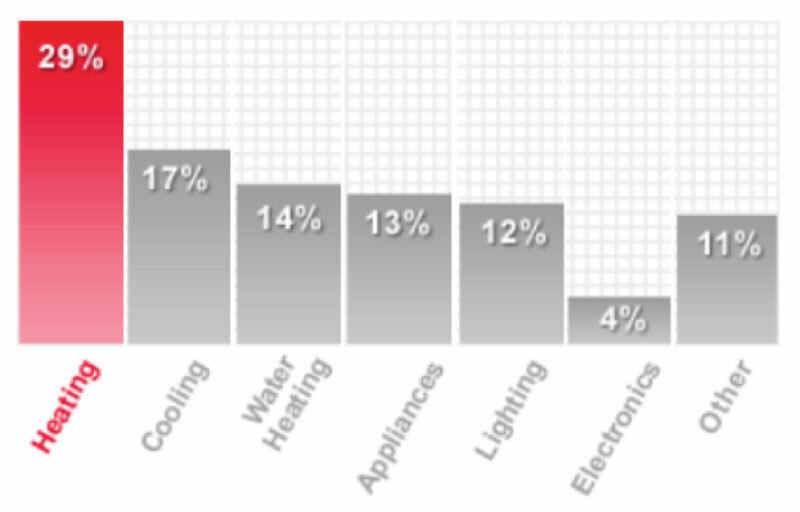 Since appliances, on average, draw 13% of the energy you buy, choose efficient products. I have had to buy some appliances recently and I used the Energy Star Ratings as my guide to the most efficient machines. Since 1992, the EPA has been measuring the energy efficiency (and inefficiency) of consumer products. This year the EPA has awarded “Energy Star Most Efficient 2018” distinction for highly energy efficient products which incorporate tech innovations. Use this guide to choose efficient appliances. The Wire Cutter has tested and reviewed energy efficient appliances. Operating your hot water heater may be costing 14% of your energy bill. You can minimize the hot water you use with shorter showers and full loads in your dish and clothes washers. Tankless hot water heaters are energy efficient, but they can get overwhelmed if you draw a lot of water at once. New, conventional hot water heaters can be significantly more efficient than the old ones.